Durga Puja is not only a festival of victory of goddess Durga over an evil but is a celebration of the harvest festival that marks the goddess as the motherly power behind all of life and creation. To celebrate womanhood and raise awareness about women in agarbathi industry, All India Agarbathi Manufacturers Association donated 5 ft agarbathi to The Bengalee Association known to conduct Bengaluru’s oldest and largest Durga Puja celebrations since 1949. The agarbathi was customised and created by a team of 20 women from Bengaluru. This year 5ft agarbathi donated by AIAMA will stand tall during the 5 day Durga Puja celebrations at Manyata Tech Park and will play a significant role in paying tribute to the fierce goddess Durga. The revelry will see a mix of socio cultural functions, music and food fest, glittering stalls of clothes, interior decoration products, gifting items and more. 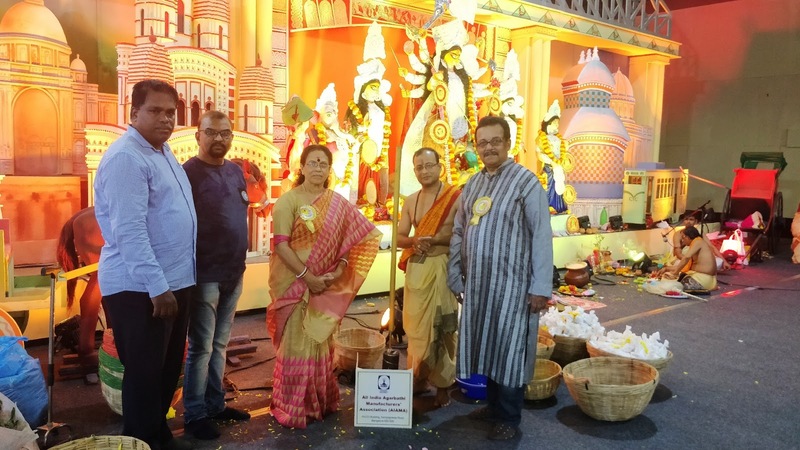 Sarath Babu, President AIAMA, said ‘We are pleased to contribute 5ft agarbathi to The Bengalee Association to commemorate the largest and the oldest Durga Puja celebrations in Bengaluru. There could have been no better festivity than Durga Puja to salute womanhood, its avatars and their contribution in creating a balanced ecosystem. To support economic independence and rural employment amongst women, AIAMA aims to train a large women workforce in partnership with the association members in next few months. The initiative is in line to address both international and domestic demand. Additionally, we would be obliged to engage with The Bengalee Association in training women who are interested in learning agarbathi rolling and packaging and become financially independent. 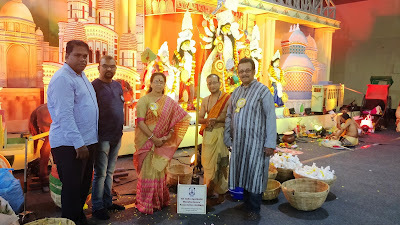 Robin Majumdar, General Secretary, The Bengalee Association said, ‘We are pleased by the initiative of the Agarbathi Association and their contribution towards Durga Puja Celebrations this year. Agarbathi has been an integral part of Indian festivities and plays a significant role during puja observance. This year the agarbathi customised by the association will stand tall during the five day discourse paying tribute to the warrior goddess Durga. The Association will also be supporting puja requirements by donating agarbathi to few other Durga Puja pandal’s in the city.